Focus on discoveries. We take care of everything else. 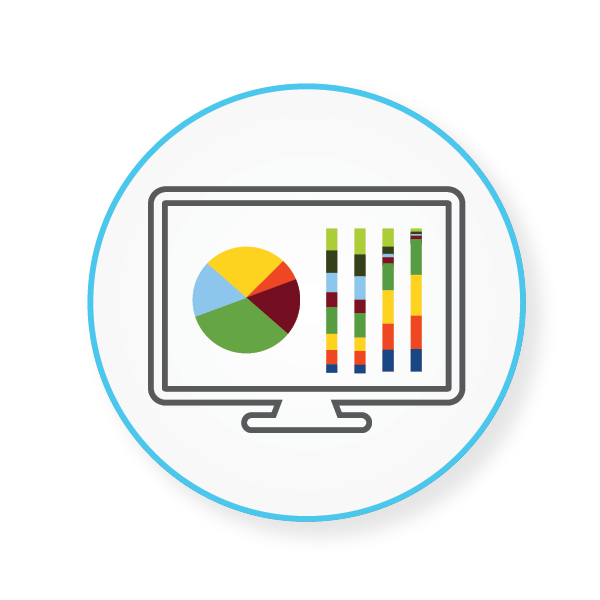 Get all the data in a single, comprehensive report. Extract all the contents of the report.type2.zymo.zip file. Open the extracted folder and find the file "report.html". Open the "report.html" file in your browser of choice. Within the report, there are links to view all the analyses performed for the project. 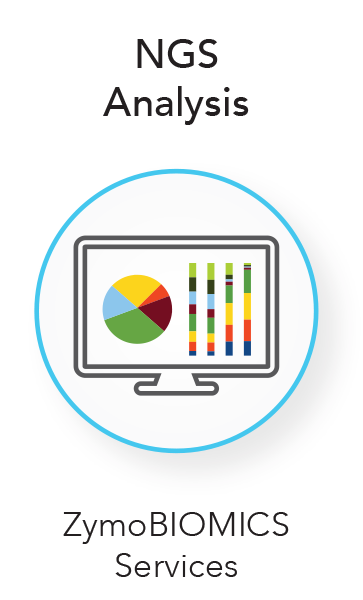 All ZymoBIOMICS Services include comprehensive bioinformatics and statistical analyses for each microbiomics project. 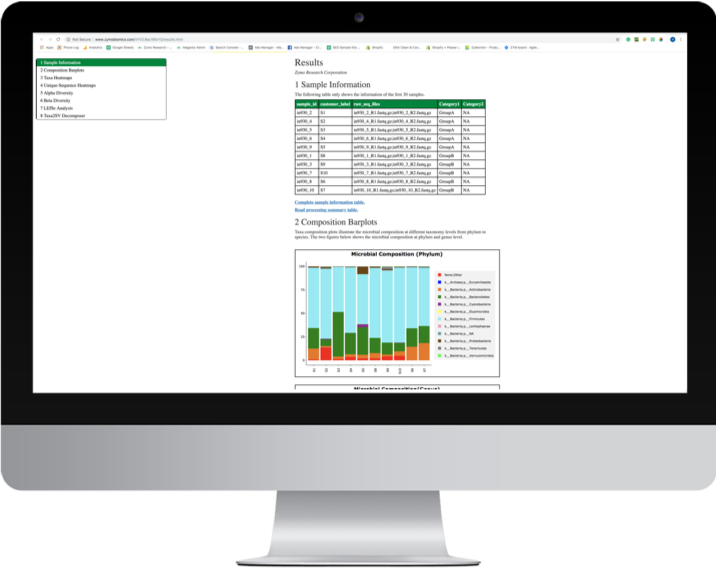 The report can be customized according to each unique project or application. 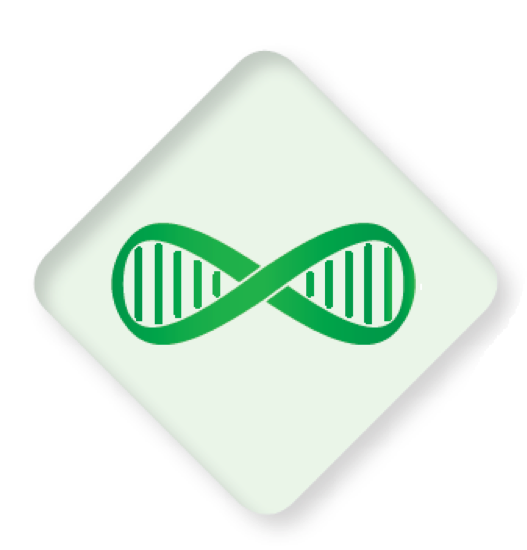 Let Zymo Research do the bioinformatics so that you don’t have to! 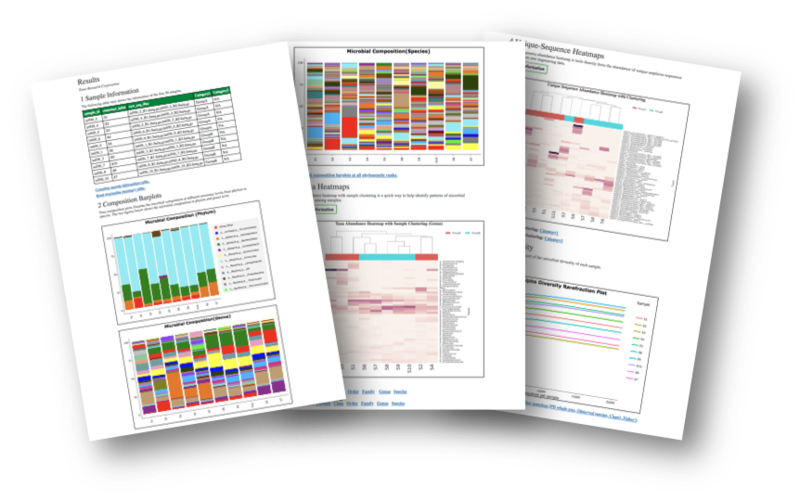 Take a look at a project analyzing human stool samples with 16S sequencing by downloading the sample report. 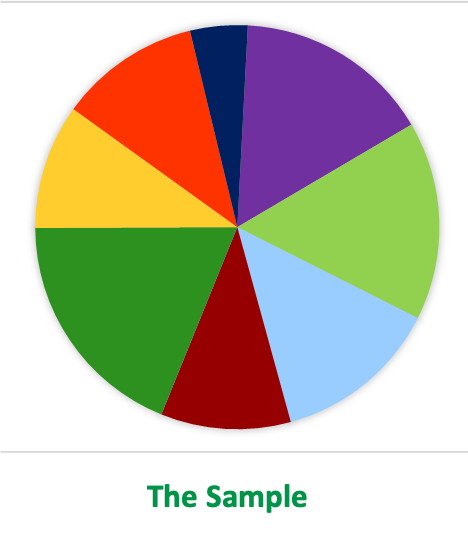 Any sample. Ultra-clean. Rigorous controls. 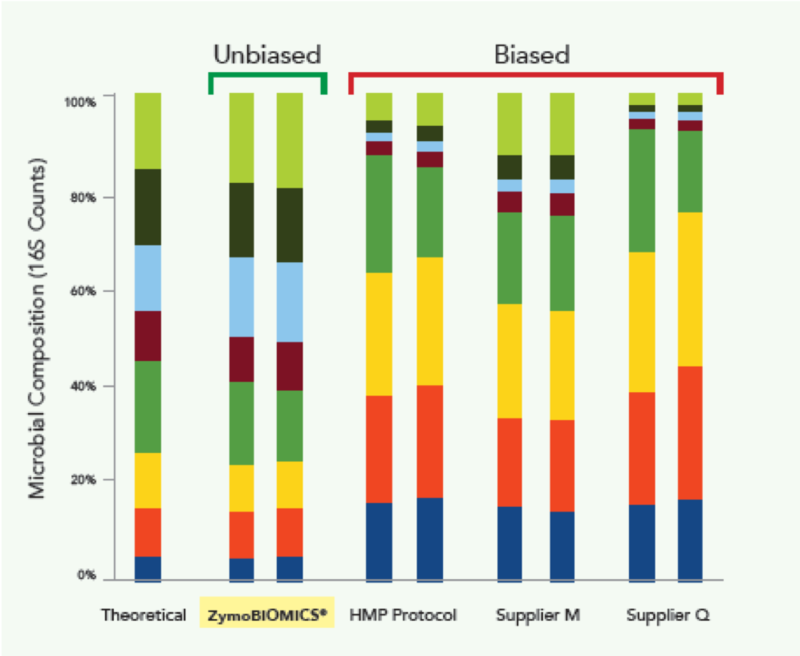 Low Bioburden Reagents limit sample contamination. 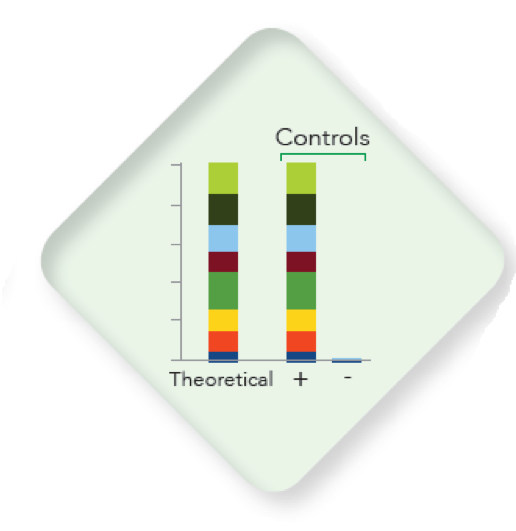 Zymo Research was the first company to develop microbiomics solutions, from collection to conclusion, based on new rigorous standards for microbiome measurements. 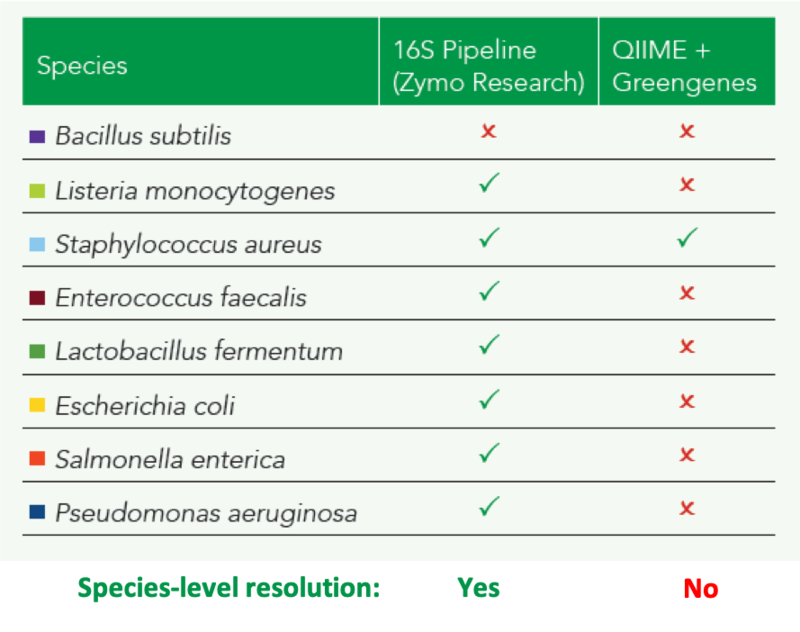 Zymo Research is leading the initiative to improve reproducibility and accuracy in the field by developing the first commercially available microbiome standards. 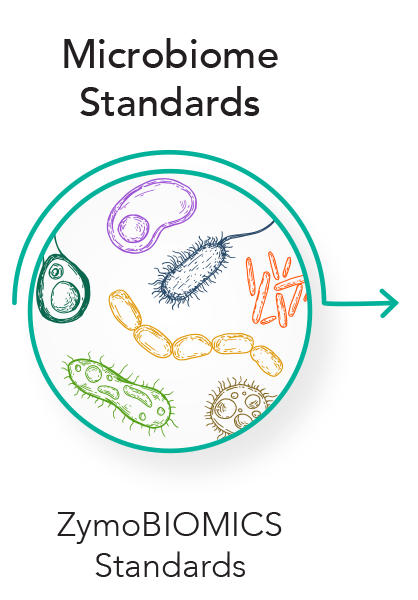 The FDA has accepted the ZymoBIOMICS Microbial Community standards as Regulatory-Grade Genomes in the Database for Reference Grade Microbial Sequences (FDA-ARGOS).The standards are utilized to develop and optimize every step of the microbiomics workflow, ensuring high-quality, unbiased results. 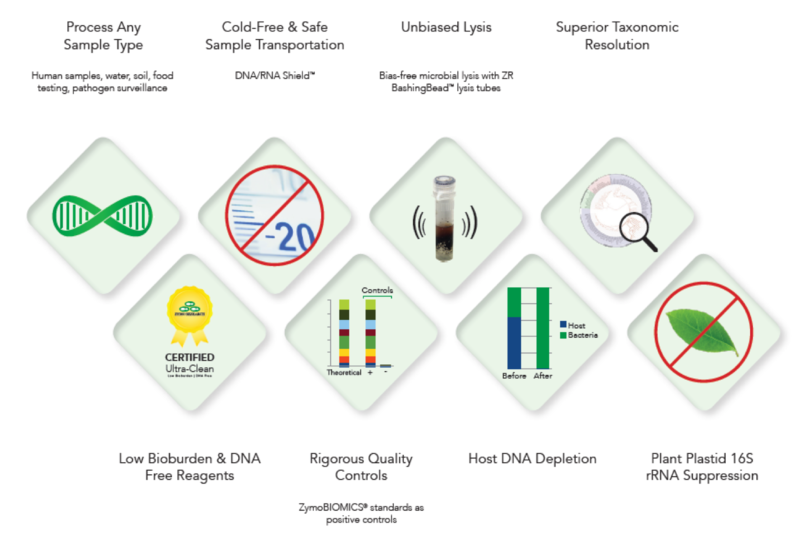 Microbiome Standards Included in Every Project. 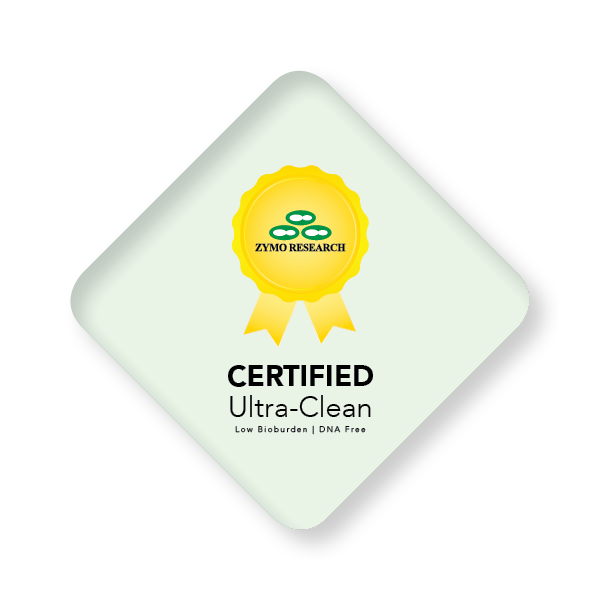 Zymo Research’s unparalleled DNA extraction protocols, commonly reported in literature, are certified to have unbiased microbial lysis and minimize bias during DNA extraction. 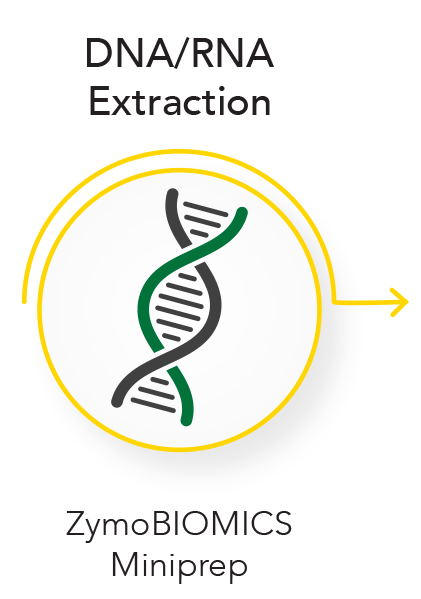 Common DNA extraction protocols reported in literature are found to have a dramatic bias as demonstrated in the figure above. 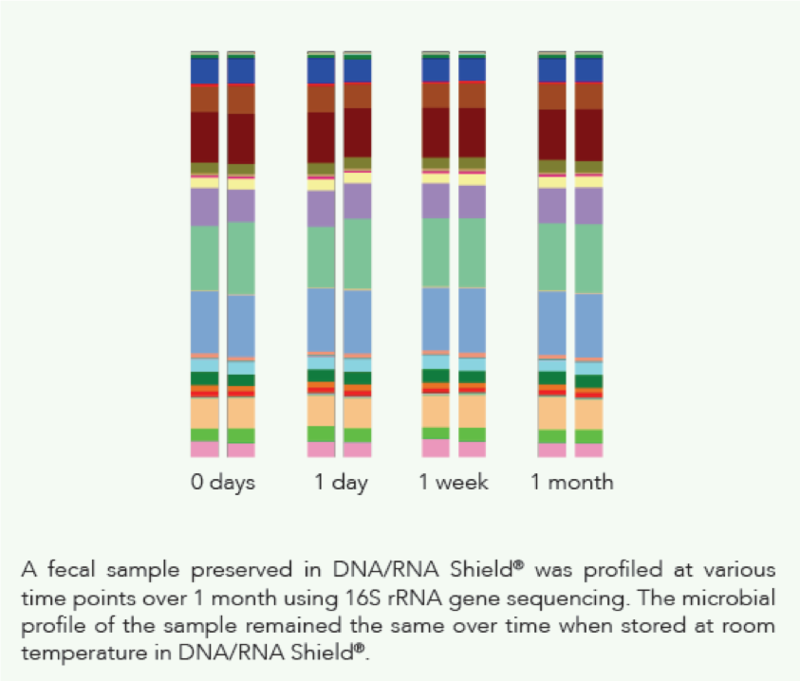 Various sample collection devices prefilled with DNA/RNA Shield are available to help streamline your collection process. 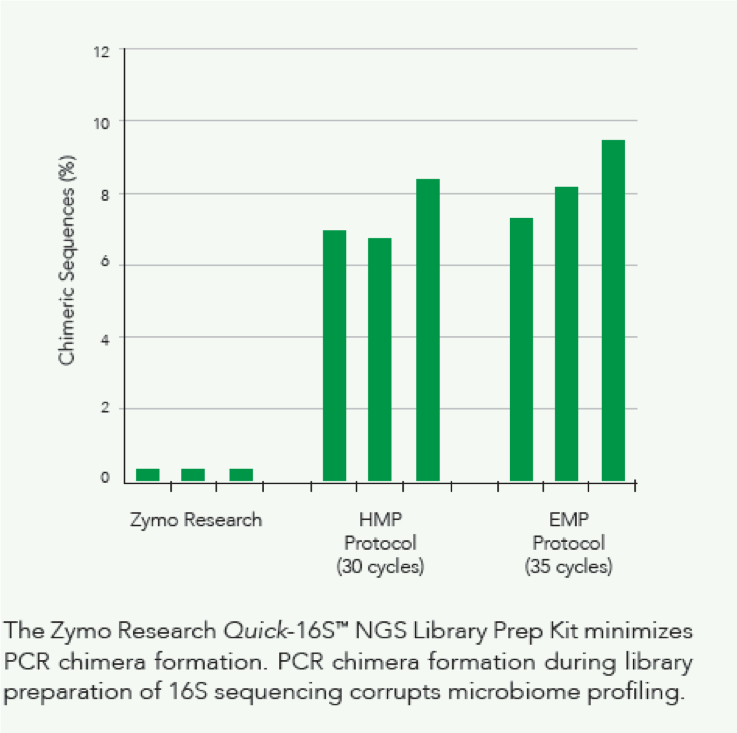 The innovative use of real-time PCR during library preparation minimizes PCR chimera formation. 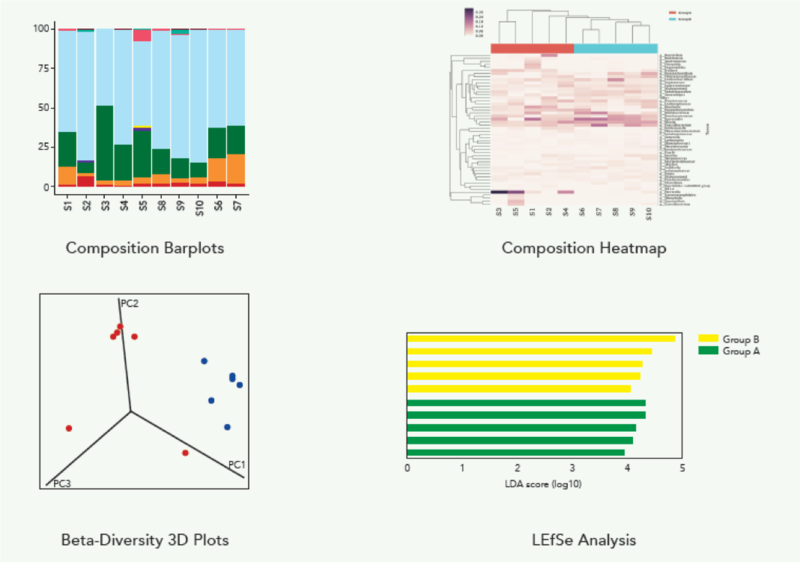 Species-Level Resolution with 16S Sequencing. The phylogenetic coverage of 16S sequencing is determined by the selection of general bacterial 16S primers used. 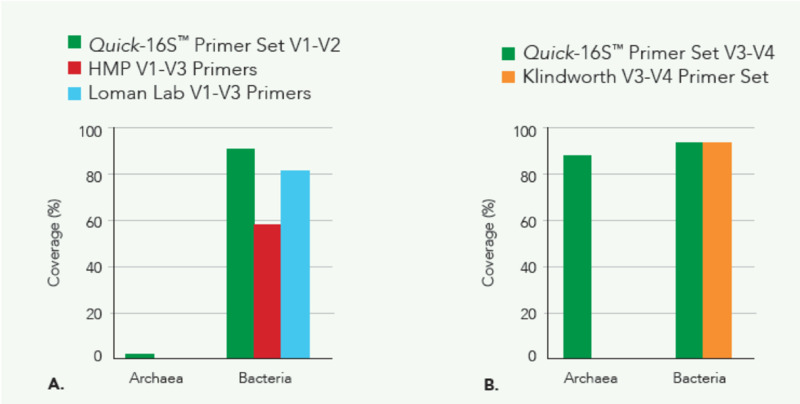 As more microbes are newly discovered, the design of 16S primer sets becomes even more critical to successful coverage of sample composition. 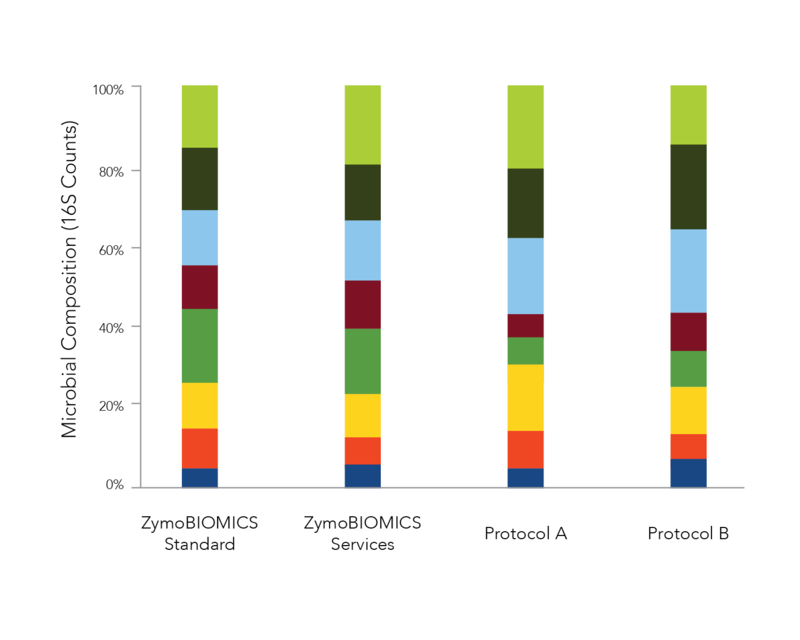 The 16S primers designed by Zymo Research significantly improve coverage of primers targeting V1-V2 and V3-V4 regions. These two regions confer higher taxonomy resolution than the V4 region. 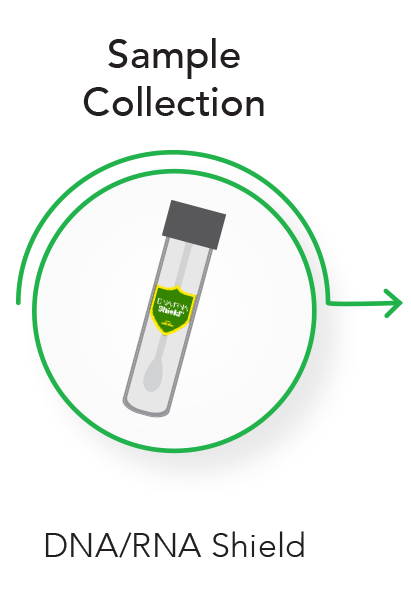 Shotgun metagenomic sequencing offers strain-level resolution, multiple-kingdom identification, and functional profiling. *Pricing based on the number of samples and type of service requested. Please inquire for more information for your specific project.